ISLAMABAD: Afghan Taliban on Tuesday confirmed the death of Haqqani militant network founder Jalaluddin Haqqani, who was accused of spearheading a series of deadly attacks in Afghanistan. “It is with great regret that we inform our believing Mujahid Afghan nation and the vast Islamic Ummah that the prominent Jihadi figure, religious scholar, exemplary warrior and pioneer of celebrated Jihads; the Minister of Frontiers during the reign of Islamic Emirate and member of the Leadership Council, the esteemed Al-Haj Mawlawi Jalaluddin Haqqani has passed away after a long battle with illness, surely to Allah we belong and to Him is the return,” a Taliban statement said early Tuesday. Taliban sources had earlier told the Daily Times that Haqqani had died in 2014, years after he was injured in an foreign forces strike in eastern Khost province in late 2001 when the American forces launched operation against the Taliban. Haqqani was one of the senior Mujahideen commanders during the 1979-89 occupation of Afghanistan by the erstwhile Soviet Union. He led armed resistance from eastern Afghanistan, while also established a religious school in Pakistan’s North Waziristan tribal area in 1980s for resistance against the Soviets. The Haqqani network founder was born in 1938 in Paktiya province in a Zadran tribe family and was the elder among brothers and sisters, a family source told Daily Times on Tuesday. 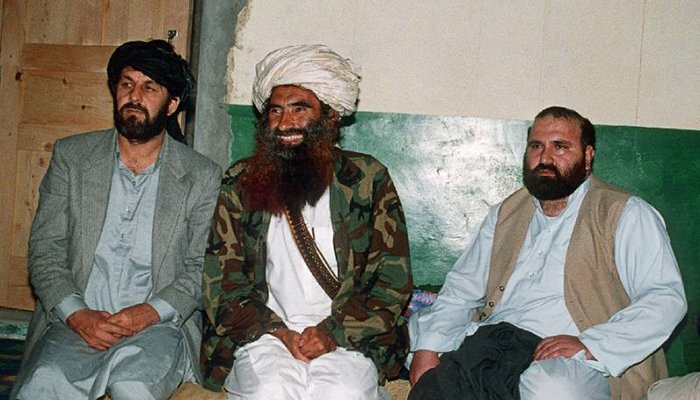 Haqqani had declared support to the Taliban when they reached Paktiya in early 1990s and handed over his all arms and ammunition to then Taliban governor Torak Agha. Jalaluddin’s son Siraj-ud-Din Haqqani is deputy chief of the Taliban and he is considered as the leader of the Haqqani Network. The Taliban have never accepted Haqqani Network as a separate group.